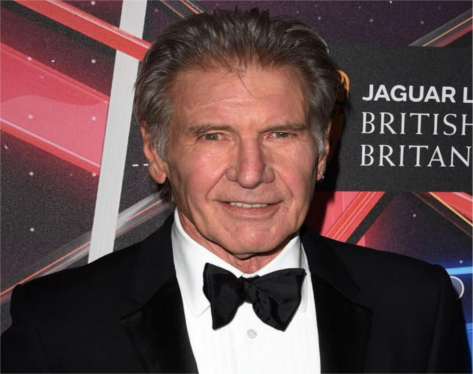 Hollywood star Harrison Ford is to avoid punishment over a near-miss at a California airport as he was piloting his private plane, his lawyer told AFP on Monday. Ford, a seasoned pilot and vintage plane collector, was approaching John Wayne Airport in Orange County in February when he headed toward a taxiway rather than the runway, passing over a Boeing 737 with 110 passengers and six crew on board. The 74-year-old “Indiana Jones” star was captured on air traffic control recordings released subsequently by the Federal Aviation Administration calling himself a “schmuck,” and saying he he had been distracted by two jets. Ford’s lawyer Stephen Hofer, president of Santa Monica-based Aerlex Law Group, said in a statement the FAA had notified the actor that it had “closed its inquiry” into the February 13 incident. “The FAA conducted a full investigation into the matter, including an interview with Mr. Ford, and determined that no administrative or enforcement action was warranted,” Hofer told AFP. The FAA does not identify individual pilots and was not immediately available for comment, but was quoted by Variety magazine as confirming it had concluded its investigation. The FAA said at the time of the incident that air traffic controllers had cleared “the pilot of a single-engine Aviat Husky” to land. The American Airlines jetliner managed to depart safely for Dallas, Texas, just minutes after the incident, according to reports. “Yeah, hi, it’s Husky Eight-Niner Hotel Uniform and the schmuck that landed on the taxiway,” Ford is heard saying on the FAA recording immediately after the incident. The FAA prohibits aircraft landing on taxiways and sanctions for pilots found at fault can range from a warning letter to a suspension of their license. He also crash-landed a helicopter during a flying lesson in Ventura County, California, in 1999 and, a year later, his Beechcraft Bonanza scraped the runway during an emergency landing in Nebraska.